The Vastu of the house is a very important issue Vastu flaws affect our day to day life including things like health, finance and Family Relations. 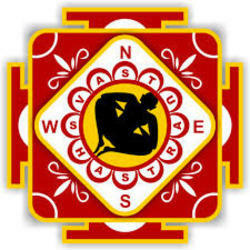 Vastu is usually associated with the construction of the house which is a huge misconception. Vastu is a much wider and broader science. The placement of furniture and show piece is also a part of vastu. If you watch acharya Ji’s Bhavishyvani show everyday in the morning you will understand how important it is to pay attention to the details of your house. Acharya Ji does detailed vastu Analysis. He does both on site and offsite Vastu Consultation and provides you with relevant answers to solve all your problems. Off Site : Charges Per Sq Feet: Rs 50.00 only. Note: These Prices are for off site consultation only. You have to provide us with a plan on paper . One Site Consultation charges vary based on location and size of site. You may call the below number to get an estimate. If the site is in different city accommodation charges must be provided by the client.